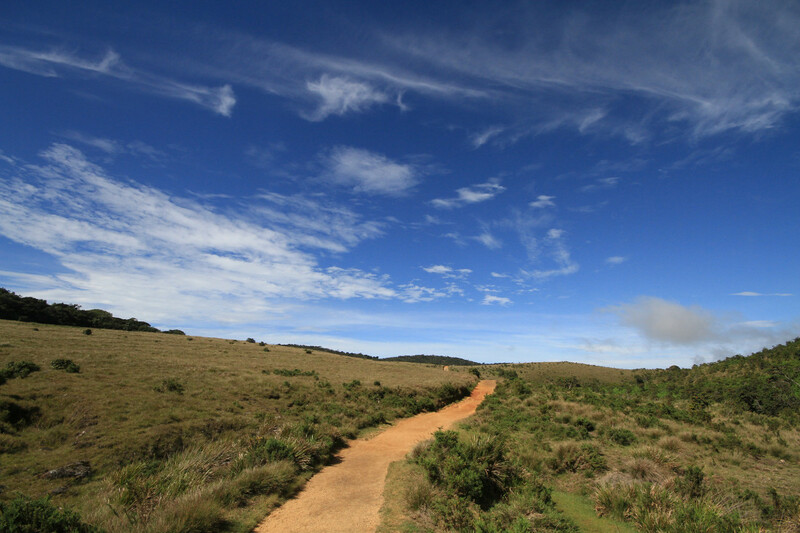 Sri Lanka is obviously known for its sandy beaches and golden sunsets but if you prefer to enjoy a milder weather in tranquillity, with a bit of outdoors activities like trekking or hiking then Horton Plains is the place to go holidaying. 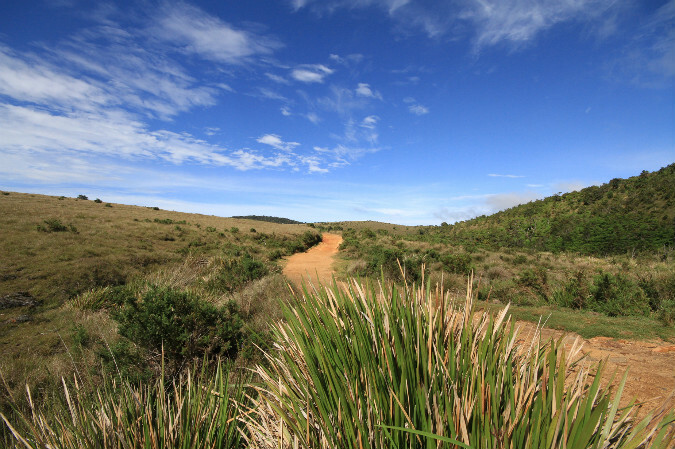 Many find the climate itself to be soothing and many prefer the exciting hikes Horton Plains can offer in the misty mountains. It is about a four hour drive from Colombo to Horton Plains and vehicles can go up to entrance of the National Park but beyond that point vehicles are not allowed to travel on the roads that run in the park. It always best to start off the hike in the morning just before sunrise around 5 am. Once you reach the main entrance and come to the Park’s main watch post you have to cross the Red Bridge. The upper section of the Belihul Oya runs below this bridge. 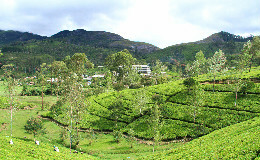 The scent of fresh grass and the crystal clear water that is gushing away will make you feel afresh for your hike ahead. 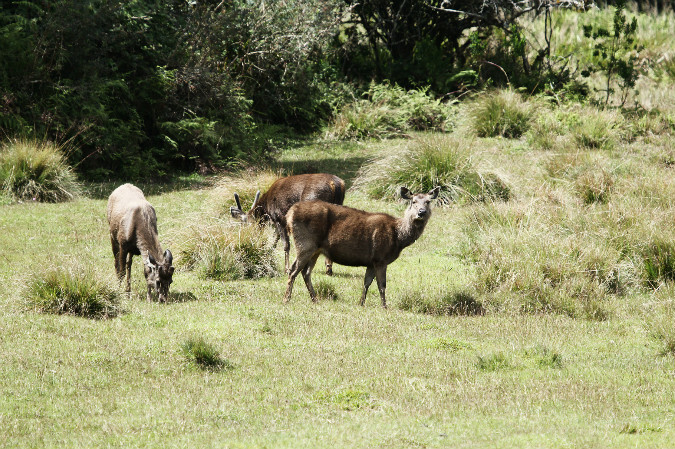 Sambur deer feeding on the lush green grass is a common sight on your way along the trail. Since the fog thickens towards the afternoon it is advisable to first visit the Small World’s End which has a drop of 274 metres. The view down below is panoramic and you can reach the Small World’s end in about 40 minutes. From the Small World’s End it takes about 30 minutes to reach the Big World’s end which has a drop of about 885 metres. The view beyond this point is heavenly. 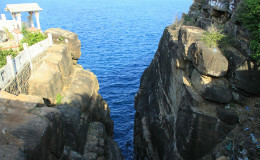 The sheer thrill of standing there will give you chills. With the fog rolling in from time to time there is an eerie effect to this place and since the area is not restricted with any railing you can get enjoy the spectacular view which spreads afar. The Uda Walawe reservoir and the dry zone can be seen from the top of World’s end and this is an experience that should not be missed. The next stop of your trail is the magnificent Baker’s Falls named after the famous explorer Samuel Baker. 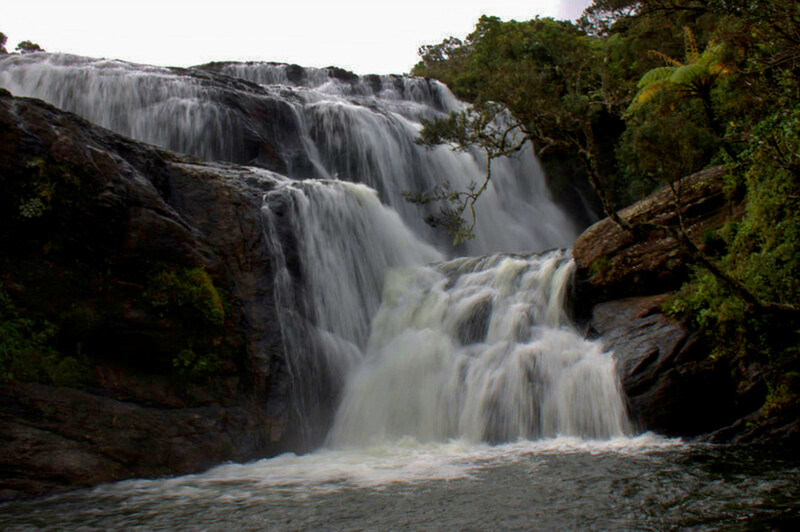 This is one of the most beautiful waterfalls in Sri Lanka with a height of about 22 metres. 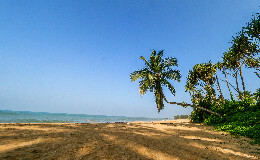 It is a tributary of Belihul Oya. The top of the pool is crowned by a pool and the middle of the waterfall it divides into a thousand other branches which is a truly breathtaking sight. 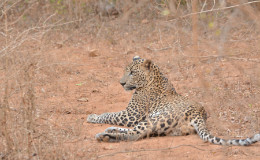 You can even camp close to the Baker’s falls if permission is acquired from the Department of Wildlife in Sri Lanka.